My middle daughter is an enabler. 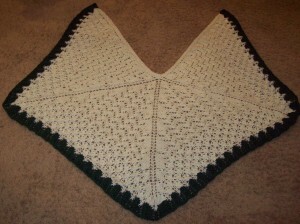 She enables me to learn new skills – like knitting lace. 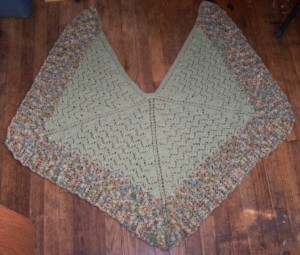 She introduced me to Mystery Shawl #3, otherwise known as Swan Lake designed by Melanie Gibbons. 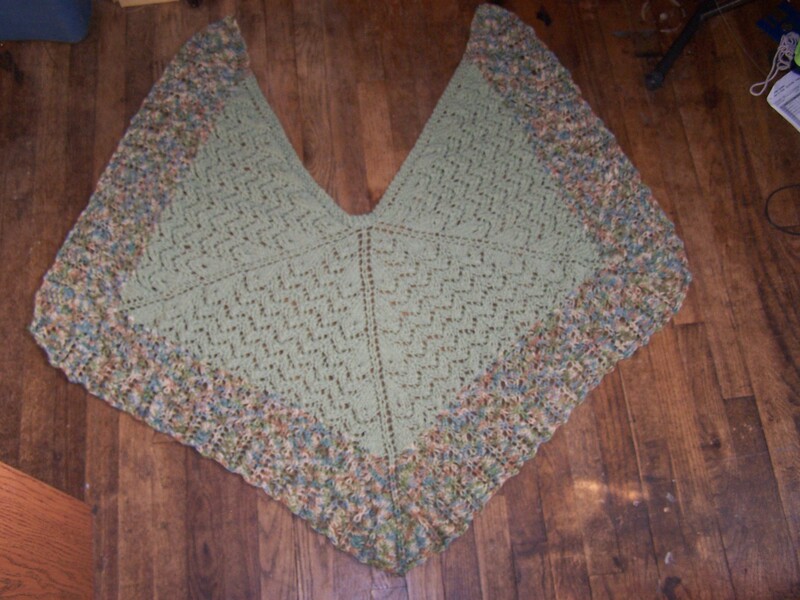 Sometimes though, I just jump in all by myself and find wonderful patterns by gifted designers, like Mirth by Stafanie Japel. I liked this one so much that I actually made it twice, and gave them both away. One of these days I will make one for myself.